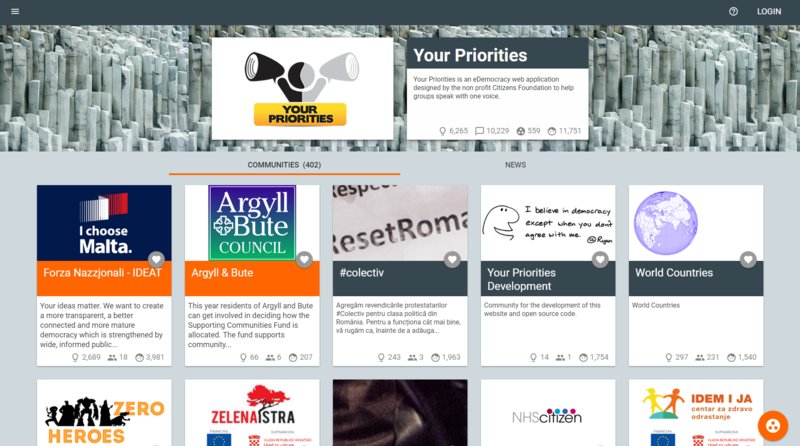 The online participatory social network, Your Priorities, was launched in 2008. It has been in continual development ever since. Yrpri.org is a web app that scales well across smartphones, tablets and computers and is easy to use. The community has over 11.000 registered users who have generated more than 6.000 ideas and over 10.000 points for and against the ideas submitted. 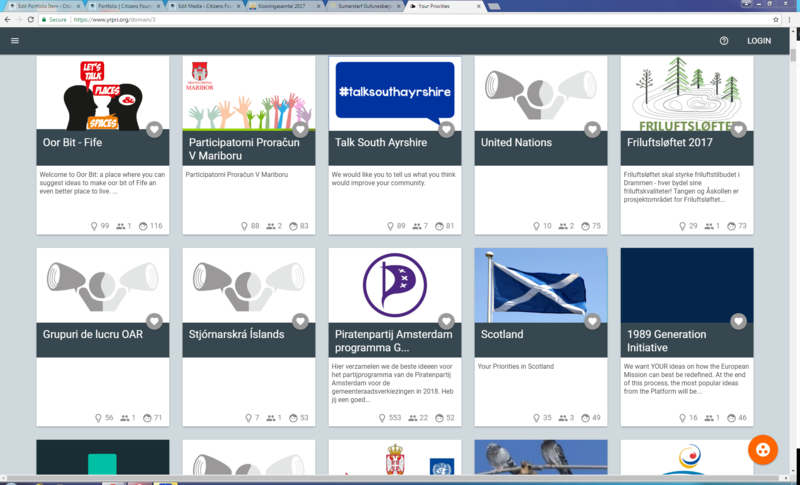 A host of municipal governments use yrpri.org for participatory projects as it’s ideal for crowdsourcing ideas or running participatory budgeting projects. The platform is also used by Civil Society organisations and NGOs. Your Priorities is an open source software that has benefited greatly from various projects, both supported by local governments and the European Union. Idea Synergy utilises Your Priorities in its business solutions, tailoring its services and products to the needs of the client.